Fresh off of a historic election which saw Republicans in Nevada win both houses of the legislature and the Governorship for the first time since the 1920’s, and the first time to win all the partisan statewide offices in addition to the trifecta. With most of the statewide officers and a majority of the Assembly caucus being conservatives, you’d think Republicans would try to reduce the size and scope of government. Wrong. 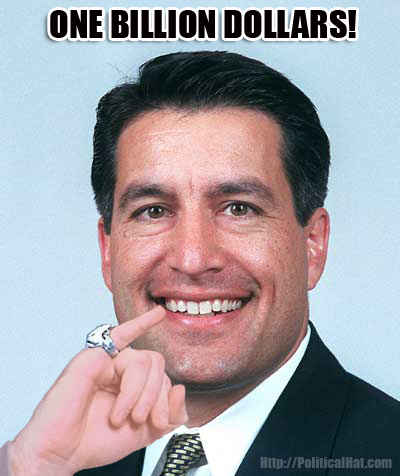 In his 2015 State of the State address, Governor Sandoval has declared his intent to massively expand the government for the children. How will he do this? Raising over $1 Billion in taxes, including a margins tax… despite Nevada voters voting against it by a 4 to 1 margin. Gen. Fund spending under @GovSandoval: $6.24 bil in 2011, $6.6 bil in 2013, proposed $7.3 bil for 2015 #nvsots #nvleg Where were the cuts? #NVSOTS do you hear that? That's the sound of businesses leaving California, passing nv and going to states NOT raising taxes and fees. "Sunset taxes must be continued". Goodbye, @NVGOP Hope you enjoy your ONE session in the majority. This entry was posted in Elections, Uncategorized and tagged FAIL, GOP, Nevada, NVGov, NVLeg, Taxes. Bookmark the permalink.